Oxford is currently trialling Torrossa, a scholarly e-book platform developed by Casalini. All records are available in SOLO, and the platform can also be accessed directly via OxLIP+. A wide range of subjects is covered, with over 180 Italian, Spanish, French and Portuguese publishers contributing titles in the fields of history but also language and literature, linguistics, art and architecture, film studies, law, philosophy, theology and cultural studies. 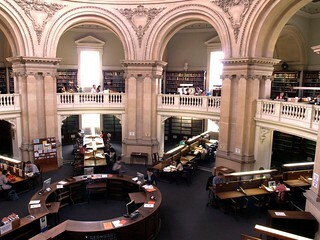 The trial gives us access to approximately 4,750 titles. Whilst titles in Italian and Spanish make up the majority, there are also smaller collections in English, French and German. The trial features selections from Casalini’s multi-publisher collections Edición Española Online and Editoria Italiana Online, as well as single-publisher collections from Arco Libros, Editorial CSIC, Iberoamericana Verveurt, Casa de Velázquez, Bulzoni, Leo S. Olschki and Fabrizio Serra Editore to name just a few. The trial runs until 6th December 2014. Please leave any feedback on the History Eresources desiderata LibGuide or email isabel.holowaty@bodleian.ox.ac.uk. Thanks to the generosity of Nuffield College Library who have kindly donated a collection of microfilms to the Bodleian Library, historians can consult Le Monde on microfilm covering Jan/Feb 1954 upto March 1994. All you need to do is search Le Monde in SOLO and order up the year / reel you need. Le Monde (0395-2037) is France’s most well known and well regarded daily newspaper, with economic news consisting of a mixture of shorter news stories and longer analytical stories. It is a great source for modern French and European history. Did you know there is a Digital Microfilm Reader for you to use? Le Monde issues are available online via Nexis UK (8 January 1987-) or via Factiva (21 December 1994-). Oxford users now have online access to the complete run of French politics, culture and society (ISSN 1558-5271), vol. 0 (1983) to current, via SOLO or OU eJournals. “French Politics Culture and Society is the journal of the Conference Group on French Politics & Society. The journal is jointly sponsored by the Institute of French Studies at New York University and the Minda de Gunzburg Center for European Studies at Harvard University. The Journal explores modern and contemporary France from the perspectives of the social sciences, history, and cultural analysis. It also examines the relationship of France to the larger world, especially Europe, the United States, and the former French Empire. The editor is Herrick Chapman with many eminent scholars on the editorial board. It is indexed in a number of bibliographical databases including Historical Abstracts, America: History and Life and British Humanities Index which are accessible to Oxford historians via SOLO and OxLIP+. The prépa de proximité: A French Attempt at Affirmative Action in Higher Education? Want to get an alert for the next issue? Use the RSS feed. I’m pleased to invite Oxford users to trial Numérique Premium. Access is via OxLIP+. There is no remote access. Numérique Premium is the first French Humanities e-book collection. 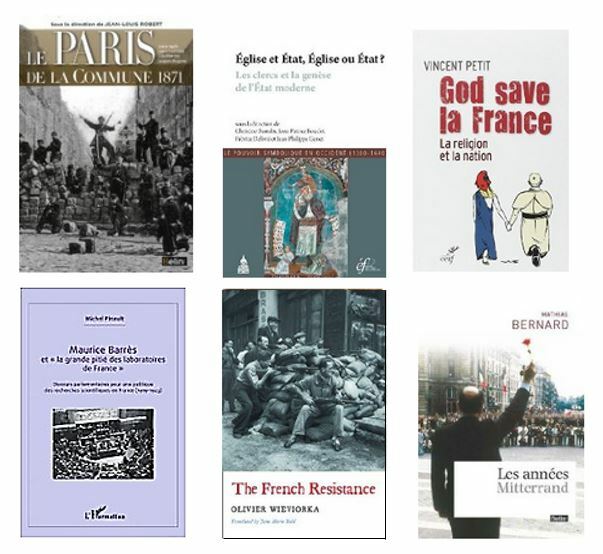 It contains about 1500 French-language Humanities e-books with the main focus on medieval and modern history but also including politics, history of French-speaking literature, history of cinema all accessible in a user-friendly format (currently in a beta version). This beta version allows you to a sample of the 2014 Collections. Each collection is made of approximately 80-100 titles and is updated annually. Please send feedback to isabel.holowaty@bodleian.ox.ac.uk or nick.hearn@bodleian.ox.ac.uk or leave comments on the History databases desiderata & trials site. Cherchez-vous les sources littéraires et historiques? Voici une solution. Oxford users have access ARTFL is an indispensable collection of electronic resources for researchers in French Language and Literature, spanning medieval to 19th century, which are also useful for historians. It includes some Italian texts too. The Journal de Trévoux, ou Mémoires pour l’Histoire des Sciences & des Beaux-Arts. 109 volumes, 1751-1758. Louis Moréri, Le Grand dictionnaire historique, ou le Mélange curieux de l’Histoire sacrée et profane, etc. (1759). Searching is a little basic so do make use of the index search options. Access is via SOLO or OxLIP+. Following a successful trial in May, access to Dictionnaires des XVIe et XVIIe siècles has now been secured and available via OxLIP+. Lacking a French ‘OED’, it is the closest thing there is to a historical French dictionary. It is likely to be of interest to historians, social scientists as well as to linguists and literary scholars. Oxford users now have access to two new resources from the Brill Primary Sources Online series. They are particularly relevant to early modern historians, theologians and historians of the Reformation. There is very good presence of digitised French texts. The images of the scans can be viewed as pdfs and printed or downloaded. Texts can also be exported as zip files. This database comprises the writings of French Catholics against the doctrines of John Calvin (1509-1564) and other protestant leaders. France was a major centre in the clash between Catholics and Protestants during the sixteenth century. Much of the Protestant literature was in French in the hopes of converting the French people. In response, the Catholic Church preserved its position in France with these documents. This archive includes both sixteenth-century attacks on Calvinism and Protestantism as well as defences of the Catholic doctrine. Anti-Calvin is now available to Oxford users. This collection offers a comprehensive survey of the original writings of the French Huguenot authors, from the first stirrings of radical dissent in the 1530s through to the end of the century. The selection privileges first and foremost original writings of authors writing within France and for an exclusively French audience. Thus whereas Calvin’s Genevan writings are not included, the tracts penned by Theodore de Bèze as part of the polemic exchange during the Colloquy of Poissy (1561) do appear here. All told the writings collected here reveal an intellectually vibrant movement, meeting unprecedented challenges and later hardship with that mixture of confidence, aggression, and resolution in the face of adversity that characterises Calvinist churches of this era throughout Europe. The Huguenots is now available to Oxford users. The site consists of hundreds of dynamic, panoramic images, mapped to each monument, and accompanied by contextual materials including historical texts, time-lines, interactive maps, and biographies of scholars. It also contains tools for comparative study. The site is currently in beta mode, but functioned well in Firefox when we used it. The project uses the dimensions of space, time and narrative to structure the project. Very detailed information pages about churches, such as the Cathedrale de Notre-Dame in Amiens, include various images, floor plans, further architectural description and information about each church’s political significance. Not all entries have the same level of detail, some have only images and floorplans. The comparison tool allows churches to be compared using dimensions and construction dates. The time dimension merges the churches on the project’s map with existing maps showing contemporary geopolitical divisions.